"Pub Street is only 5 minutes away on foot, which is a great..."
Have a question for Royal Crown Hotel & Spa? "Excellent hotel with beautiful staff." "Great place to stay ,clean ,friendly staff"
"I love this hotel a lot." 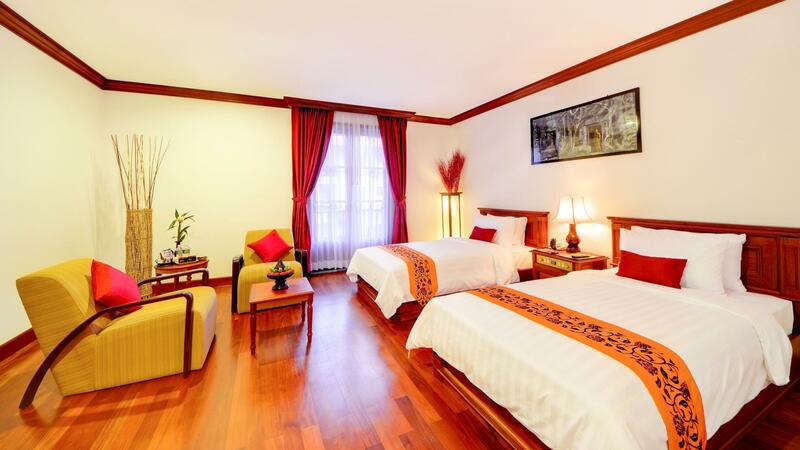 Royal Crown Hotel & Spa is set in Siem Reap's central area and offers 139 rooms. 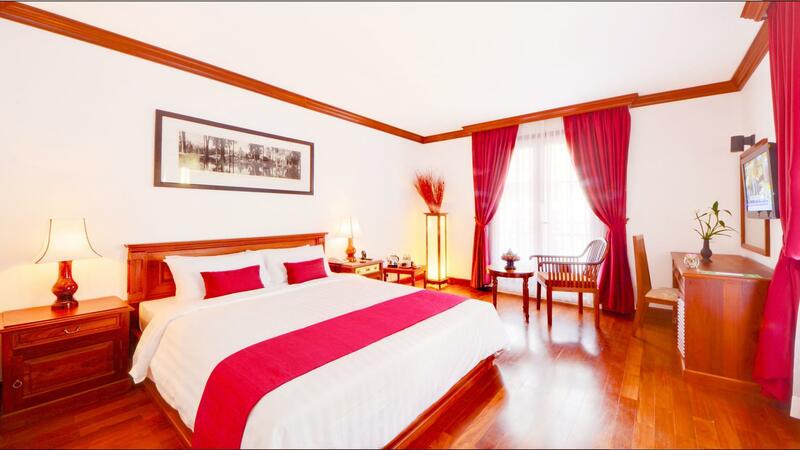 It is only a three-minute walk to the famous Pub Street, the Night Market, as well as the Siem Reap Art Center Market. 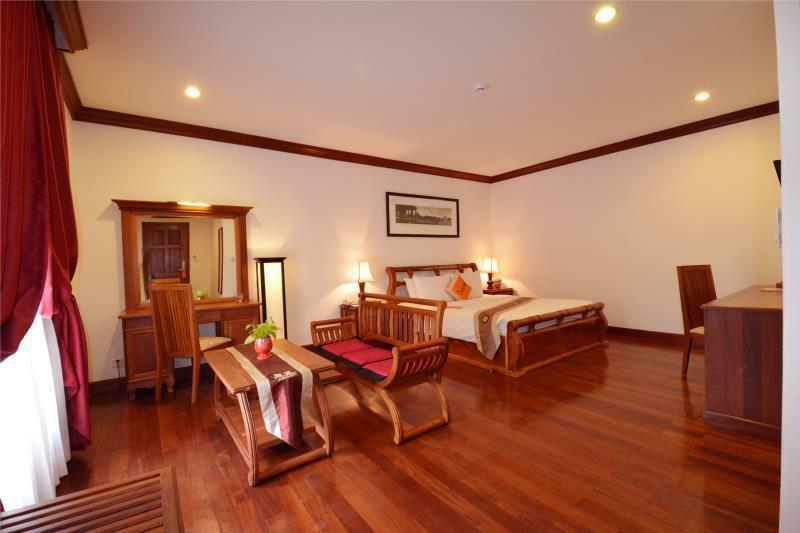 All rooms are built with wooden flooring and are made complete with modern amenities to ensure comfort. 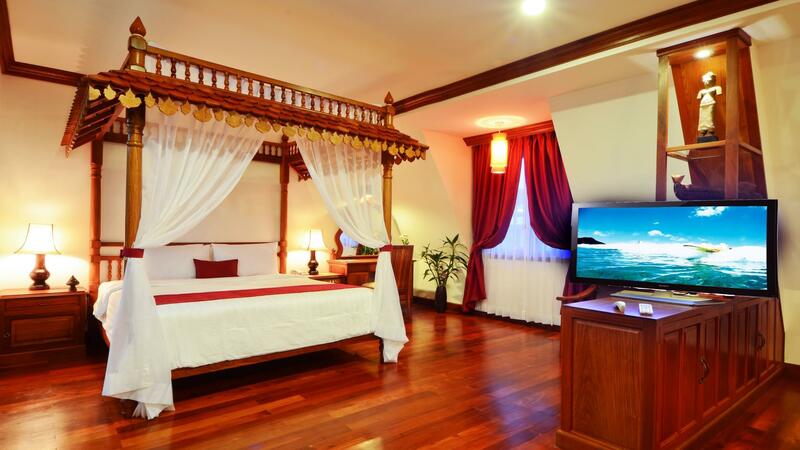 The restaurant boasts traditional Khmer and Chinese cuisine, and room service is also available. After your long day, come to unwind at the Royal Crown Golden Bar with your favorite drink and enjoy sheer relaxation. There is nothing better you could ask for. Please enter your preferred dates of stay and submit our online booking form to make a reservation at Royal Crown Hotel & Spa. The property provides a pick-up service from the airport. In order to reserve the transfer, please inform the property of your arrival details at least 1 day prior to arrival. Airport transfer is available at no additional charge from 06:00 AM to 10:00 PM. An extra charge of USD 20 for transfer from 10:00 PM to 06:00 AM. The hotel was nice, breakfast was reasonable good. Just that we were given a room that have no view at all - it was facing the back of the building, seeing some other buildings - my no 1 dissatisfaction. Thank you for helping us to share your experience here. We are glad you enjoyed having a great time with us and we can’t wait to serve you more if you happen to come back and give us another chance during your next visit. Kind regards. 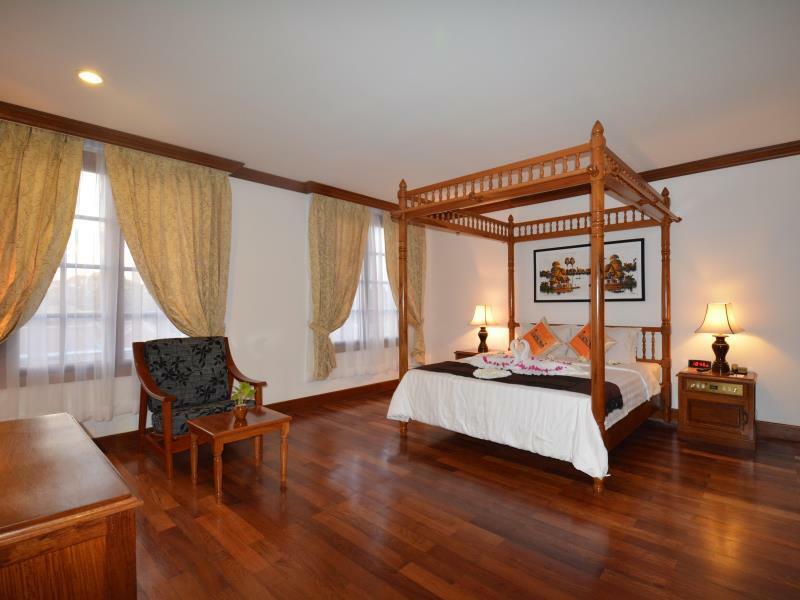 Very nice location, 7 minutes walk to night market and pub street. Rooms are spacious and clean. Two outdoor swimming pools available. Breakfast was good. Staff are friendly and cooperative. Provide a free one way airport transfer. Internet was ok. I would stay again on my next visit to Siem Reap. The hotel has an excellent location. Both Pub Street and the night market are a 5 minutes walk away. Breakfast was decent with a mix of local food and the regular Western stuff. Nothing to complain about. Homemade bread, jams, and yohurt are very nice. Noodle is not good. It is very close to old market and pub street. Jungle Berger near the Hotel is recommended. Tourist information and souvenir shops are very close. Thank you for choosing to stay at Royal Crown Hotel. We are truly happy to learn from your review that you have enjoyed your stay with us. It was a pleasure to have been of service to you. Our staffs and I looking forward to welcoming you back to the hotel in the future. The Royal Crown Hotel & Spa is set near the middle of Siem Reap , close to everything but just far away enough to be peaceful. incense burned in the hallways gives it a very serene feel. The staff is a great help when you need them. Easy walk to pub street so central. Plenty of bars and restaurants around. Great breakfast. Good pools. No towel hooks so couldn't hang up towels after shower. Hate putting them in floor. Warmest greetings Royal Crown Hotel! Thank you for choosing to stay at Royal Crown Hotel. We are truly happy to learn from your review that you have enjoyed your stay with us. It was a pleasure to have been a service of you. We hope to have a chance to serve you again in your next visit. Kind Regards. This is the fifth time we have stayed at his lovely hotel and it won;t be the last. It's so convenient for everywhere and the staff are incredibly friendly and helpful. Great roof top bar to watch the sunset and good choice at breakfast. Excellent value for money. Warmest greeting from Royal Crown Hotel & Spa! Thank you very much for taking your time to review us here, Let me take this chance to express our sincerely & thank you for giving us this opportunities to serve you while on your trip visit heritage site of Angkor Wat town, On behalf of our whole team is very delighted to learn all bits of the efforts raise about us here and I'll ensure to share this excellence review with among our staff to keep us all motivated. Kind Regards. Everything seems smaller than in the photos but apart from that minor thing, it is a good hotel: close to markets and restaurants, nice pools (2 of them), great breakfast, friendly staff and clean room. We’re truly so thrilled to read this! Thank you so much for leaving a review and putting a massive smile on our faces. Really appreciate it. And we do hope to have a chance to serve you again in the near future. Sincerely. rooms are great, staff welcoming. 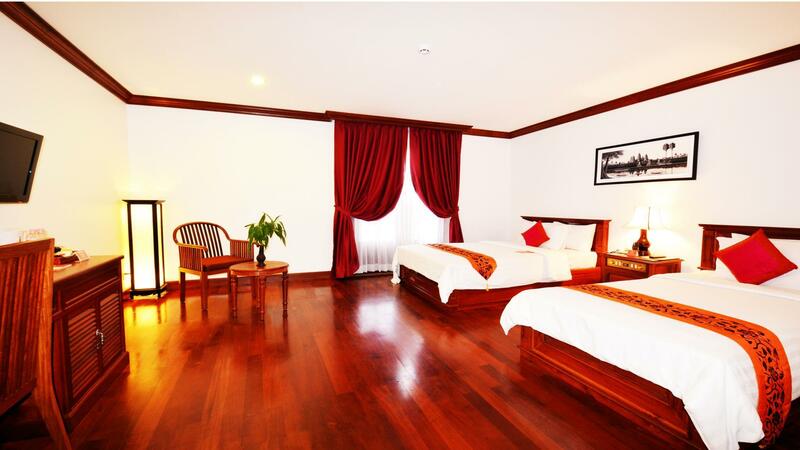 very convenient location close to Hard Rock Café and you just cross the bridge to reach the night market and pub street. Many good restaurants in that area. The outside area (2 swimming pools) is smaller than what it looks in the pictures. Restaurant is nice with a colonial touch, breakfast is simple. Warmest greetings Royal Crown Hotel! Thank you for choosing to stay at Royal Crown Hotel. We are truly happy to learn from your review that you have enjoyed your stay with us. It was a pleasure to have been of service to you. Our staffs and I looking forward to welcoming you back to the hotel in the future Kind Regards. Place is very convenient to go anywhere in town. It was only $1 with tuk tuk (although I always paid $2). Stuff are very helpful. Thank you for your perfect review about our hotel, we really glad to know that you enjoy staying at our hotel. 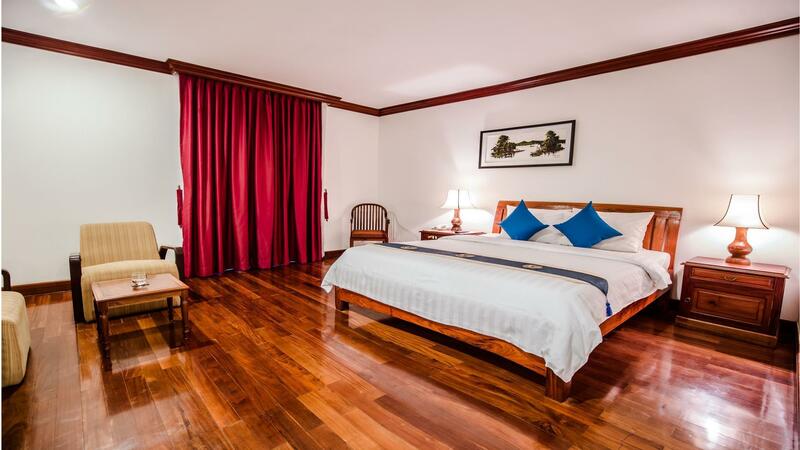 We do hope to have a chance to serve you again if you happen to visit Siem Reap again in the near future. Kind regards. We're truly appreciate your perfect review on our hotel, and thank you for choosing us as your accommodation. We're happy to know that our value guest enjoy stayed at our hotel and we will continue to do our best to provide every guest a perfect holiday. Thank you. Best wish to you. I've stayed at this property several times over the past few yrs. It has an excellent staff, very good breakfast, and prime location. However, on this stay my room was beginning to show some age. Also, perhaps the shower drain was clogged, but every time I took a shower the entire bathroom floor would flood, which was minor but still a bit annoying. My real concern was the level of mosquitoes present. Each and every day I would kill 4 or 5, plus others which eluded me. I know this is SE Asia and mosquitoes are ever present, but this unusual. At a hotel this nice, one shouldn't wake up ea. morning with new mosquito bites. All I can figure is that housekeeping leaves the room doors open during servicing, and since the floor are somewhat open-air....in they come. Thank you so much fir your feedback about our hotel, we will concern more about the problem that you have mentioned above. Once again we would like to say thank you for choosing us and apologize for some incident that occur during your stay at our property. We hope to have another chance to serve you again. Sincerely. Thank you for giving us a perfect rating and for recommending our hotel to other travelers. I’m sure our entire hotel staff enjoyed catering to your needs as much as you enjoyed your stay. We looking forward to serve you again in the future. Walking distance to night to night market. Lots of Tuk-tuk in front of hotel every morning. great staff. Good breakfast selection. Great place to stay and you get your money's worth. Has swimming pool, too. We appreciate your positive feedback about our hotel. We do take pride in catering to our guests’ needs the best way we can. We are looking forward to having you again as a guest in our hotel. It is really nice to have a shower and a bus tub. Though they are separated, so you have to wash with the shower and later use the bus tub. Wooden floor is good also. And it is close to the downtown area you wish to spend your time. With the bus room door we had a little trouble, of which I've forgot to tell the front.